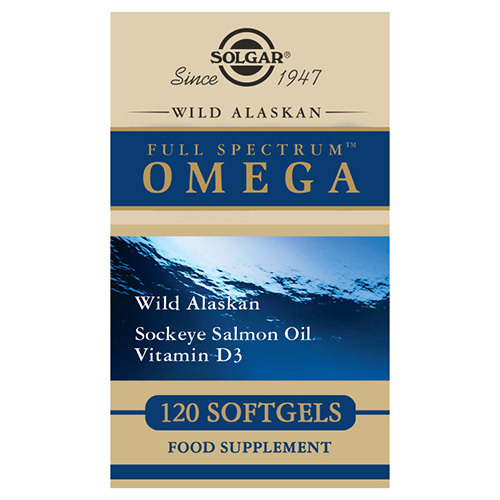 Solgar® Wild Alaskan Salmon Oil provides the full spectrum of omega fatty acids, helping you to increase your intake of good fats for healthy heart. It also includes vitamin D3 to support your immune system and astaxanthin. A complex carefully prepared for optimum purity and potency and nourishing the whole body. There are many well documented health benefits of omega oils, proven by thousands of clinical trials worldwide. These studies have shown, fish oil supplements containing EPA and DHA can support vascular health by helping to maintain triglyceride levels already within a normal range. 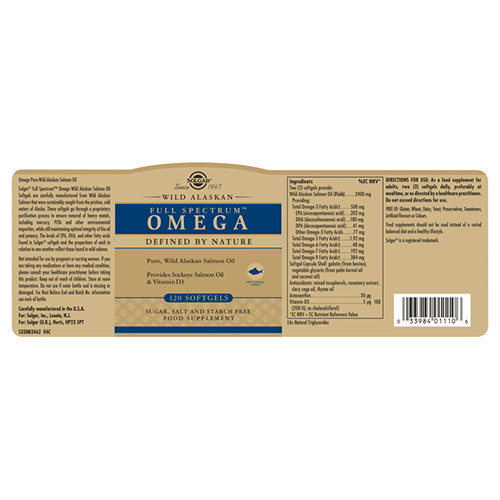 Research also indicates that omega fatty acids help maintain cognitive health and vision. The added Vitamin D3 helps to support your immune system and bone health. 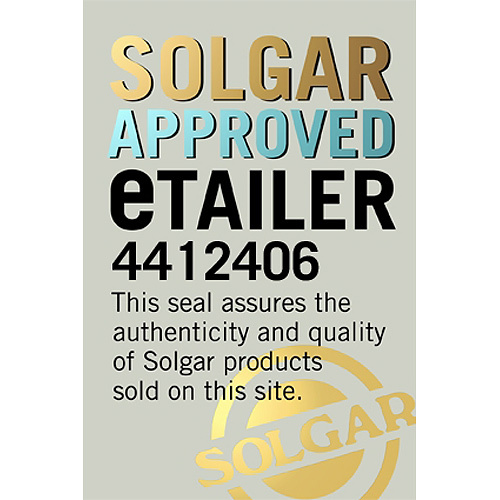 That is why Solgar® Wild Alaskan Full Spectrum™ Omega is a perfect addition for anyone as a part of our daily health routine. Softgel Capsule Shell: gelatin (from bovine), vegetable glycerin (from palm kernel oil and coconut oil), Antioxidants: mixed tocopherols, rosemary, extract, clary sage oil, thyme oil. As a food supplement for adults take two softgels daily, preferably at mealtime, or as directed by a healthcare practitioner. Do not exceed directions for use. Do not use if bottle seal is missing or damaged. 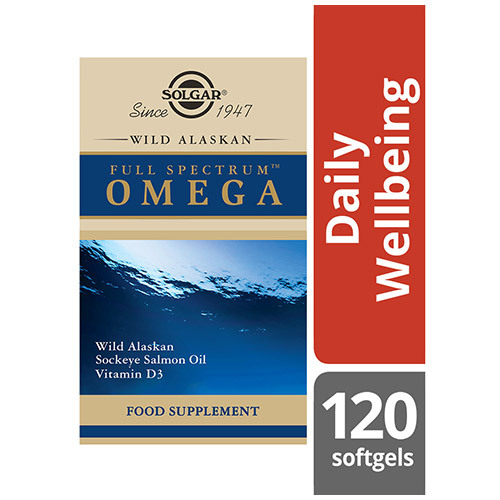 Below are reviews of Solgar Wild Alaskan Salmon Oil - Omega - 120 Softgels by bodykind customers. If you have tried this product we'd love to hear what you think so please leave a review. I have found this product is far superior to anything else on the market. My general health and mobility has improved markedly.